Label Property Editor is used for string-type properties to display them as static text. Of course, the user can not edit the value. 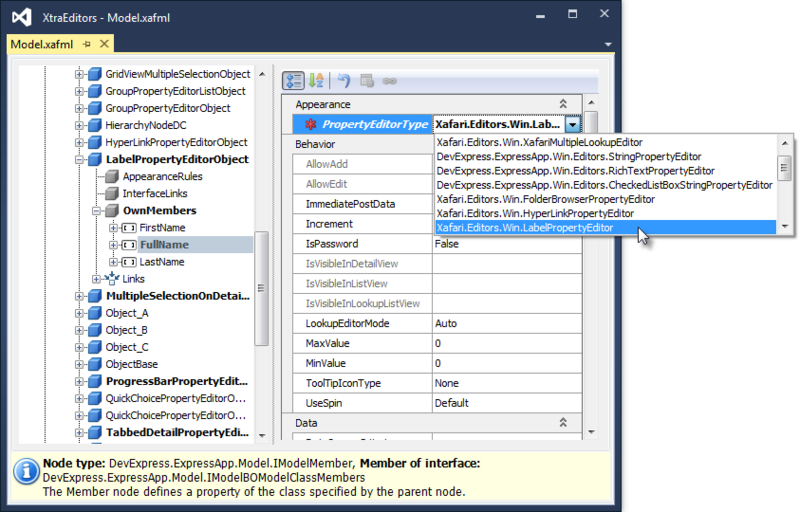 To use this Property Editor, invoke Model Editor and focus on the corresponding BOModel|Class|OwnMembers|Member node, set PropertyEditorType property to the LabelPropertyEditor value. Run the Windows Forms application. You will see what they look like after these changes.